"My Mother called the prayer room for a request for my daughter who was suffering from cyclic neutropenia, a rear blood disorder where she had very little white blood cells. She was very ill with small things like ear infections, cellulites and high fevers. Mom watched PTL every day. She loved you Tammy and said you were the blessed one who could take you to Jesus. Shortly after calling the prayer room my daughters doctor repeated more blood tests, came to me and said Angie was healed. Take her home and let her be a normal child. She had all the right amount of blood cells, When I asked him how this happened he replied It was a miracle. She knew God healed Angie thru the prayer room. I pray everyday and thank God you came to my Mom. May you always rest in peace and know you were very important in our lives." "Way to go Tammi Faye. You did it all with style and grace." 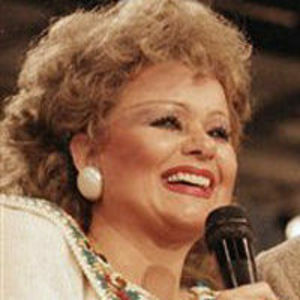 "With All You Have Been Thru Tammy Faye, You Had Great Admoration, Love,"
"You will be miss Tammy Faye, thank you for your wonderful music and preaching. rest in peace with our Lord Jesus Christ"
"I saw Tammy on Larry King 2 days before she passed into heaven. What great strength, courage and faith she had. She had asked Larry King to do that interview, she really wanted to tell everyone that she truly cared about all the people who were praying for her and her family. She was telling us that she knew she was going to heaven and that everything would be alright. How many of us would be able to do what she did in all the pain she was in? God bless Tammy and God bless her family and friends. What a better world this would be if we all had faith as strong as hers." "May God Bless Tammy and her family...........Rest in Peace now Tammy you deserve too now............"